We are a customer service company. We take pride in giving customers the very best, every time. We will go above and beyond all expectations to ensure that we GET and KEEP customers. The customer is always right. We value the relationship with our customers so much that we concede all misunderstandings. Providing professional and personal service after the sale is one of our keys to success. We stand behind our work, 100 percent. All customer complaints are addressed by a manager within 24 hours. We listen and accept feedback from our customers and co-workers in order to adapt, improve, and grow. 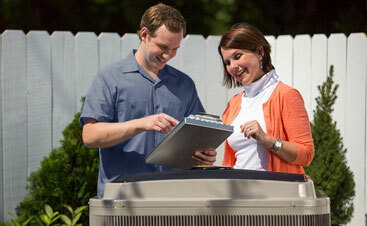 We provide superior people, products, and warranties for the benefit of our customers. Technology is continuously improving.It is our responsibility to educate customers on products and services that might enhance their lives, improve their family’s safety, or increase the useful life of their equipment. We will not take shortcuts on anything we do; this is how we deliver the highest quality and best guarantees. From beginning to end, our customers will receive the same incredible service, 24 hours a day, 365 days a year from everyone on our team. We build procedures and positions that can be duplicated. We put the right people in these positions based on merit, personality, and ability. We provide an environment where everyone can succeed. If we want a new position (promotion), we assume the responsibilities of that position so that it could become ours. 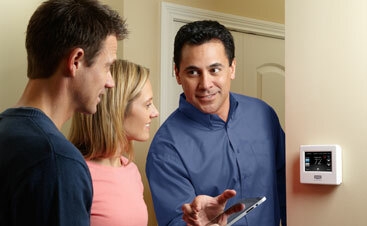 We hold ourselves and every member of the Comfort Solutions Heating and Air team to the highest standards. As a leader in the HVAC industry, we will grow, adapt, and change to remain a leader. We don’t have to be in agreement, although we must be in alignment. We embrace mistakes, discuss them, learn from them, and improve. We do not hide from mistakes. We will not compromise the safety of our co-workers or our customers for any reason. We provide the best value to our customers by explaining it, demonstrating it, and providing it. available for our customers when they need us. We continuously train our staff in order to give our customers the best experience possible. We report to our direct supervisor first for all questions, concerns, opportunities, feedback, or comments. If we have a concern, we will address it directly. People are meant to be talked to, not talked about. We praise publicly, and take corrective action privately. We treat everyone with kindness and respect. We are sensitive to each other’s feelings. Success is about all relationships: relationships with our customers, our suppliers, and our fellow team members. Happiness doesn’t just happen. You must choose it!